Starting at #10 is the jersey seam. It can be quite pesky if not handled properly, causing lots of trouble when you attempt to sew it. 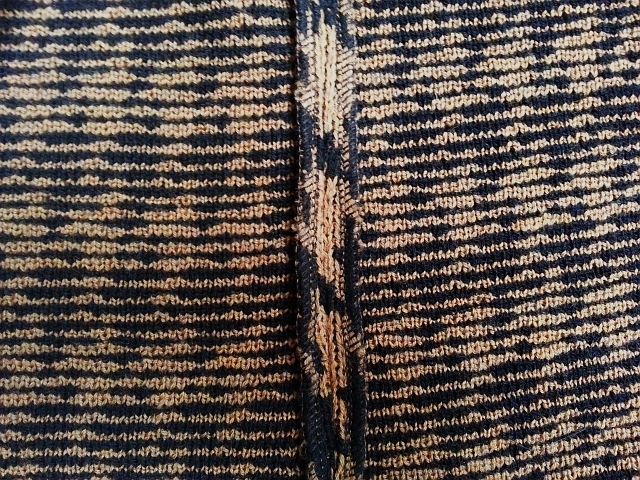 The selvages will roll toward the purl side (the rougher side) of the fabric. 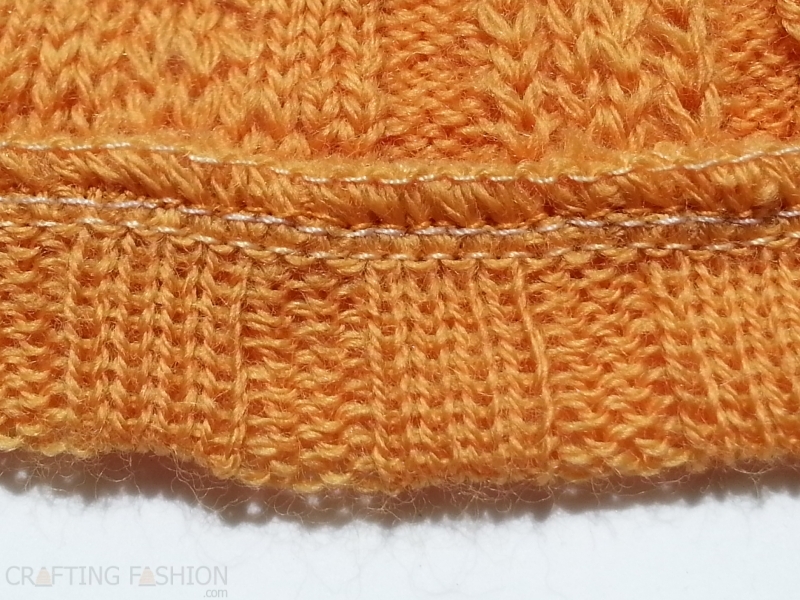 The cut edges on the cross grain will tend to roll toward the knit (smoother side). Tame the curl by first cutting off the selvages. (They're sometimes a little tight on sweater knits.) Then, as I learned on Four Square Walls, use a little spray starch and gently press the edges. If you're working with a sweater knit, be sure you are pressing (up and down motion) only the edges. Be careful not to the stretch the fabric. The starch will act as a light stabilizer and stop the roll. 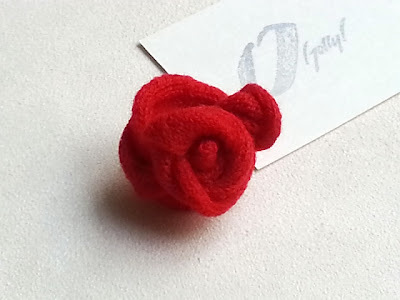 If you are not judicious with your cutting, you may have cut off enough of the selvage to make a fabric rose. Curled up edges work here! At #9 is my first real serger seam. It was on double knit merino. I like merino. For some reason, as I was still figuring out a way of stitching my sweaters together, I decided to serge my sweater with yarn in the loopers. I do like the way #8 looks with yarn in the upper looper. I stopped doing it that way only because I knew that most home sewers would not have matching yarns available to them. 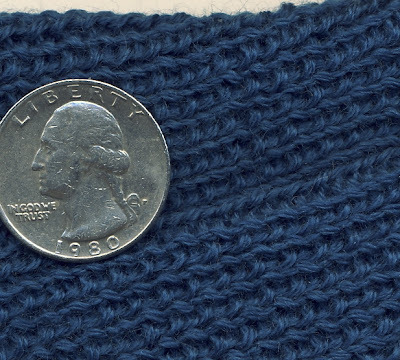 For the machine knitters reading this, give it a try. You may like it! 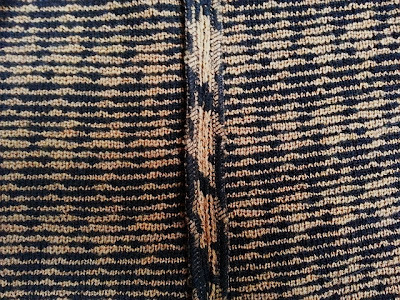 With serged edges #6, the Houndstooth and Lace Sweater, was sewn right sides together, and then the seam pressed open. Nothing unusual there. Somewhere along the way I learned that with lightweight fabrics you can press seams to the side, but pressing seams open is the way to go with heavy fabrics. Thanks for sharing! 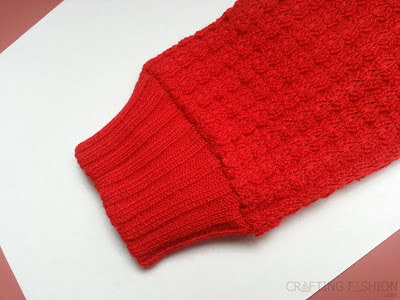 I love sewing on knits but have yet to try sewing on a sweater knit. Am clinging to a bunch of my old but nice sweaters in hopes of re-making them. Thanks for the inspiration.